Home » Update » What Did You Do On Your Summer Vacation? What Did You Do On Your Summer Vacation? School’s out for many of us, and there really isn’t a better time to get that website going and start thinking about what happens next fall. That’s not to say you should toil away over these next few weeks. We know it’s good to catch up with friends, start working on that summer job or even work on your tan! But when it comes down to it, August comes quicker than you think – so why not get a jump on those personal projects you’re thinking about before the next school season comes around? We create web hosting packages for students because we’re as excited about the possibilities as you are. When you’re able to set up your own creation right from an easy to manage dashboard, you’re completely in the driver’s seat. Without having to deal with the big money and the crazy tech of other web hosts, you’re able to latch onto an experience that’s 100% about you and that you own entirely. 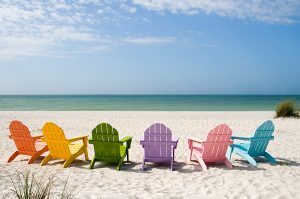 And when that happens, you can spend your summer vacation not just enjoying yourself and spending time with friends – but investing in your future with a creation of your very own. Whether you’re looking to put together a resume site, a portfolio site or a blog about your travels, you can start answering the “What Did You Do On Your Summer Vacation” question before it comes up next fall. We’d love to talk to you about all the creative, cut-above-the-rest designs you can set up when you host your own website. Take a look at our plans and let us help you get there!